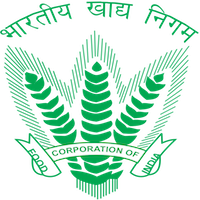 Online Application Details for Food Corporation Of India FCI Recruitment of 15 Sports Personnel is given below. Application form and duly attested documents are to be sent to The Secretary, ZSPC (N), Food Corporation of India, Zonal Office (North), A-2A, 2b, Sector-24, Noida-201301 (U.P) and by way of email: gmnz.fci@gov.in. In envelope super scribed with 'Application for the Post of Post Name'.